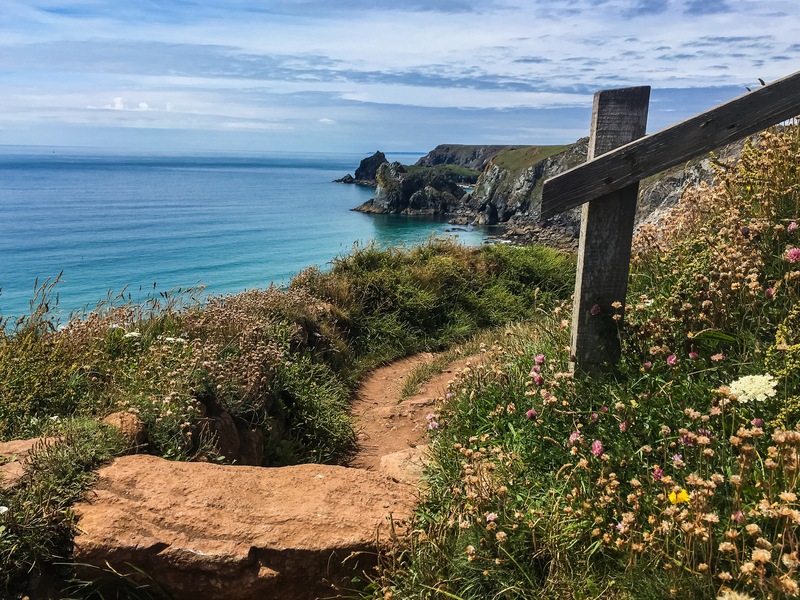 When I was a child my family holidayed in either Wales or Dorset where we would camp, spend hours on the beach, eat picnics by the lake, and go for leisurely hikes. 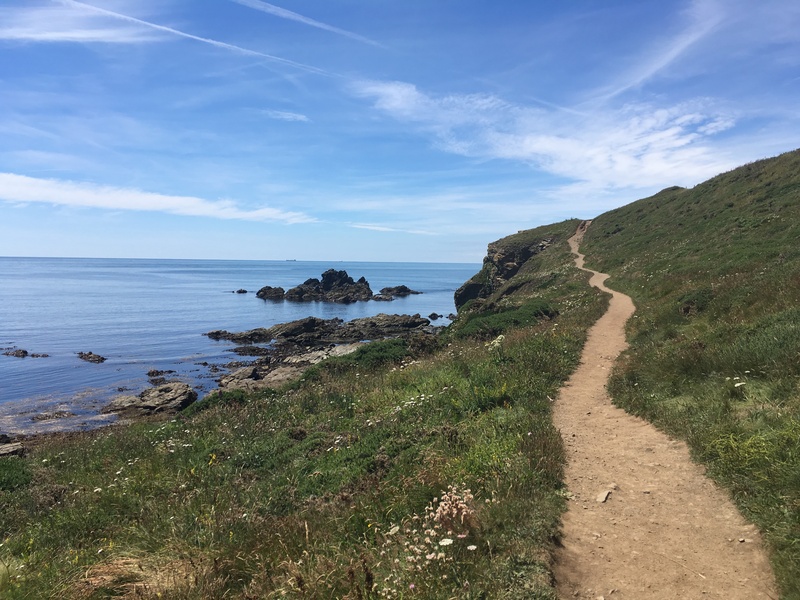 I spent these holidays walking Britain’s wild coastline, imagining that I was a character from the Famous Five – my favourite adventure novels at the time. Visualising stricken vessels tumbling on stormy seas, I conjured up images of pirates and smugglers. I pictured where their vast treasure troves were stashed. Since then, my family has relocated to Cornwall: a region that I am just starting to explore, and what a place it is! Cornwall has many legends of pirates, smugglers, and tempestuous seas. 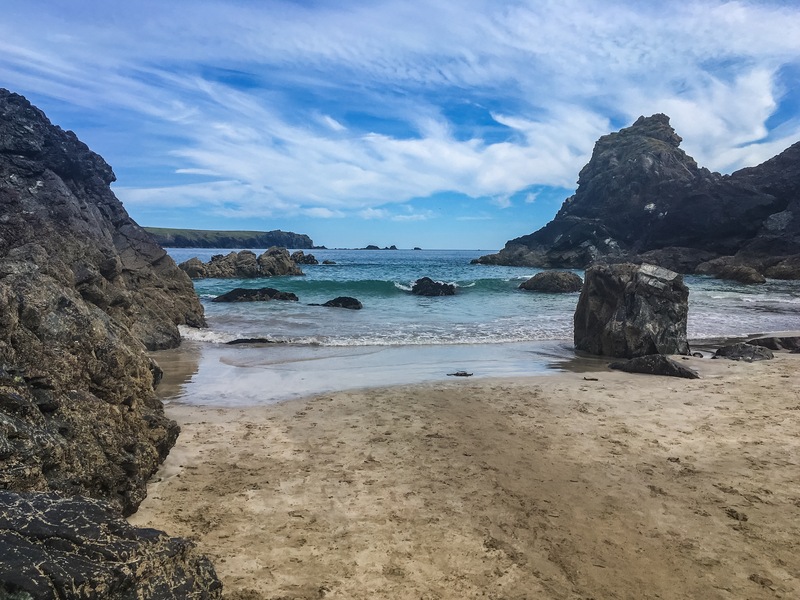 Cornwall is the author’s muse and the artist’s desire. 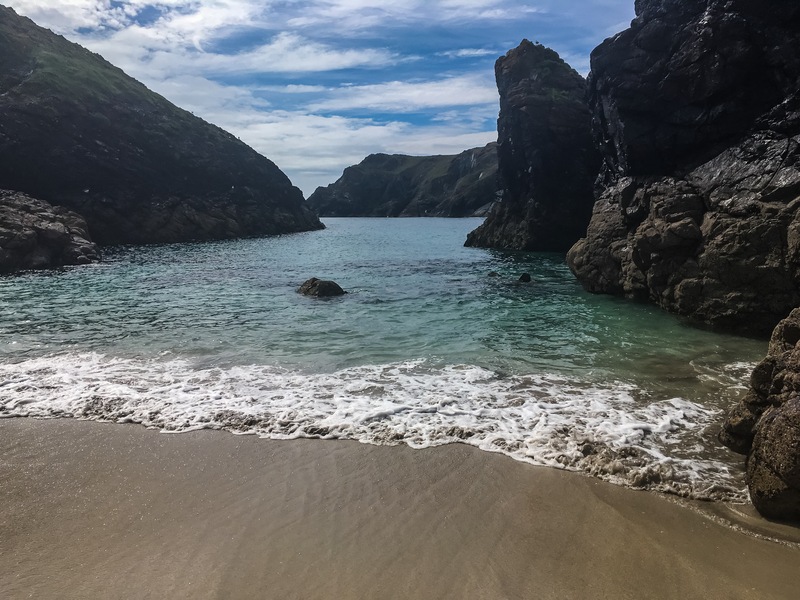 And nowhere is this beauty more evident than at Kynance Cove – a gorgeous inlet on the most southerly point of Great Britain. 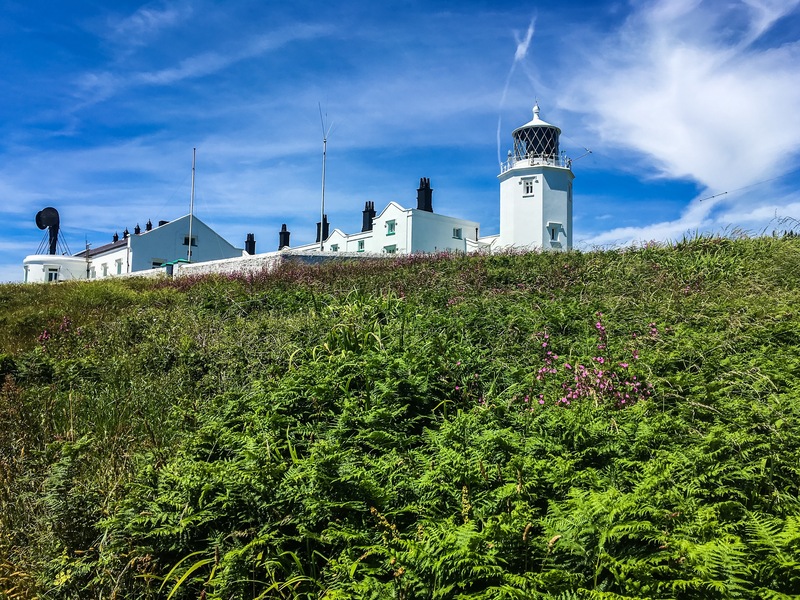 To start the walk, we parked at the Lizard and followed the footpath past a lighthouse whose foghorn was sounding loudly, although there was no fog. Cornwall is renowned for thick fog enshrouding the coast quickly and completely, making it easy to see how piracy and smuggling was such big business in former times. I imagine this lighthouse has seen many ferocious storms. Thankfully, the sea could not have been calmer the day we walked along the coastal path, allowing us some great views. The view gets more and more stunning the closer you get to Kynance. 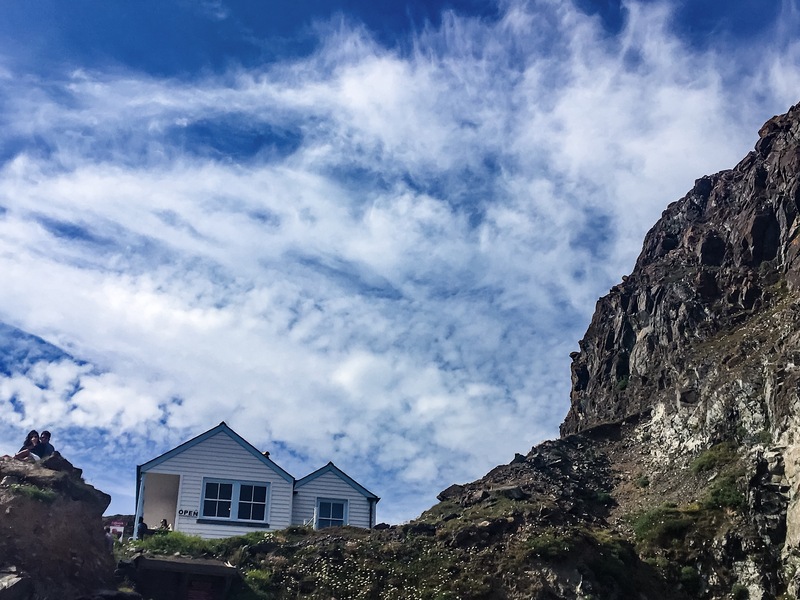 This part of the coast is the most southerly part of the UK and is thus completely exposed to the full fury of the Atlantic, which has shaped the coves over many centuries. Around 3 kilometres later, I saw Kynance for the first time. It’s truly breath taking. This statement is literal. 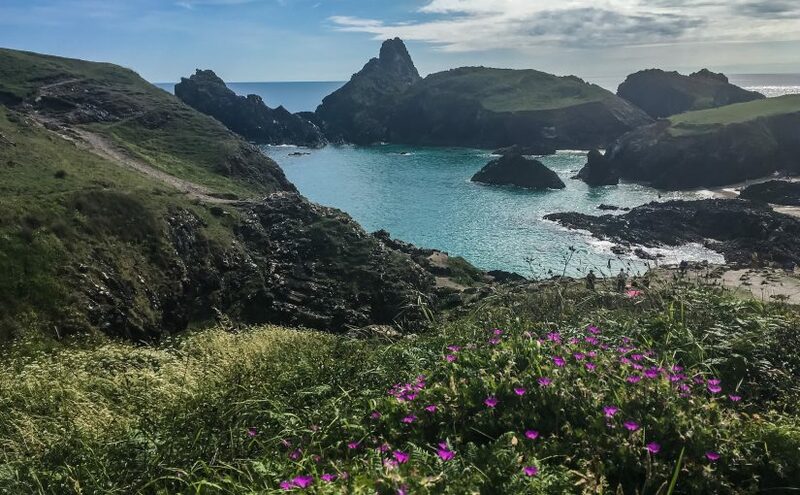 When you stand at the top of the cliff and look out over Kynance Cove, the wind will take your breath away, even if the view doesn’t! The beach is not accessible by car, but the steep climb down the cliff does not deter the crowds that gather to enjoy the cove’s turquoise waters. Once down on the beach, you can visit the caves. Or find an isolated spot to watch the waves coming in. There is also a café selling hot meals, snacks, tea, coffee and ice cream. 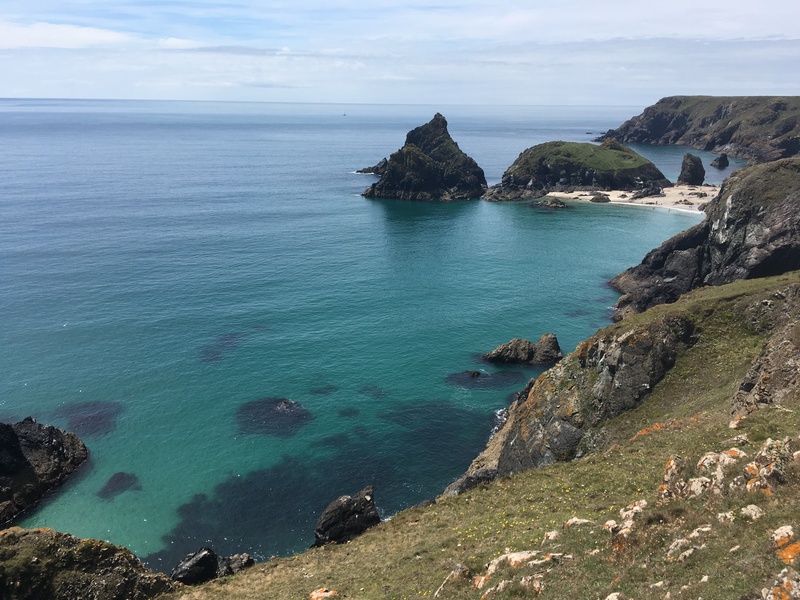 I hope my post has done some justice to Kynance Cove, but – trust me – it is even better in real life! If you enjoyed this post please share, pin, tweet or stumble so that others can see this beautiful place. Stunning views indeed! I especially enjoyed the comment about how the ocean has shaped the shoreline over time. I’m always amazed thinking about how places looked centuries ago, and how that might have effected how people and other animals treated them. I would love to go back in time to some of these places to see how they looked centuries ago, I think it would be absolutely fascinating! Love all the photos!! I definitely want to visit and go into the caves! 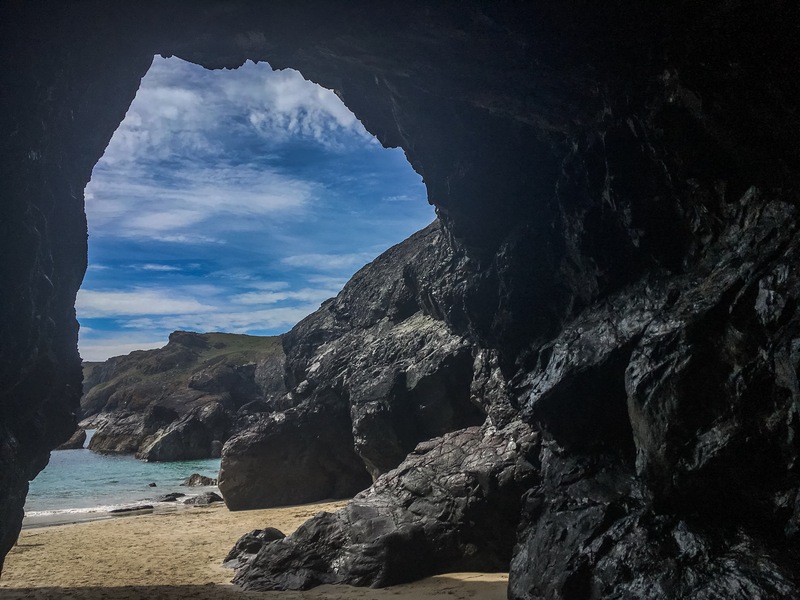 The caves are cool, but you don’t want to get caught there once the tide is coming in! What a beautiful walk! I can see why you pretended to be an adventure book! Would love love to visit here!! 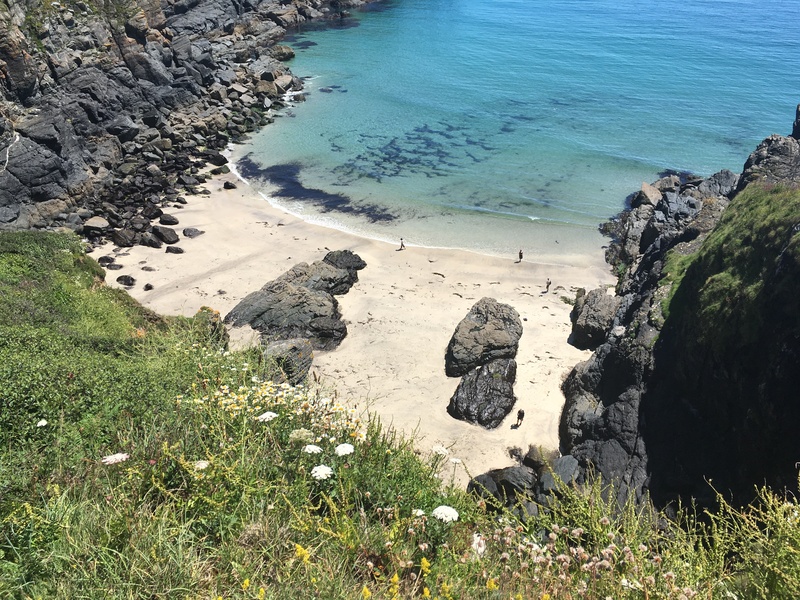 Cornwall is spectacular! It is easily one of the most beautiful parts of Britain.